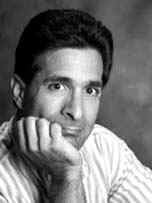 DANIEL STEVEN is a publishing lawyer, creative writing instructor, former editor and publishing executive. In addition to his novels, he co-wrote a television script, a reference book for writers, a book for health care providers, and published legal articles and prize-winning short fiction. He lives in the Washington, D.C. area.